Funny how life works, isn't it? I was on my way to Gatsby's for my next training session, wondering what I was going to work on. I was starting to feel a tiny bit lost and wished the books I'd ordered online would arrive sooner. I missed the train, and, sighing, ducked into the library to wait until the next one. It was there I found Pat Miller's The Power of Positive Dog Training, and as it turned out, this book was much more relevant and informative to me than the three more specific ones, and well worth the lost training time that day. What I like about The Power of Positive Dog Training is that Miller explains the thinking behind the two most fundamental things about clicker training: why train with positive methods, and the role of the clicker. I have always trained positive since day 1 of my short and recent experience with dog training, because this seems to be the dominant theory right now (as opposed to the dominance theory - ha ha), at least from what I'm exposed to. I guess it seemed to fit in line with my moral views, but to be honest I hadn't thought very hard about it, I just started with what I'm told is effective, and hadn't come across any issues so far. But Miller gives the most reasonable explanation for why train positive that I've heard so far: both positive and aversive training work, but positive training is lower risk and builds a stronger and happier relationship with your dog. The other thing this book explains really well is the role of the clicker. Not just that it works, or when to use it, but how and why it works. I would like to share the explanation given, because I know many of you train with the clicker, and know how to use it -- but do you know exactly why you use it? If you are recommending its use to others, can you articulate what exactly it adds compared to training with rewards but without the clicker? She goes on to explain that we condition the dolphin to a reward marker by feeding a fish every time we blow a whistle, and then blow the whistle at the moment the dolphin does what you are asking for. I personally think that you can train positively and effectively without the clicker (or equivalent marker), but using it is very helpful. Firstly to help communicate the exact behaviour you are reinforcing, as Miller explains, but even more, because it gives the trainer confidence. Learning to use it properly gave me confidence. Both dogs I clicker trained went from hearing and ignoring what was just another sound in the environment to giving me their full attention when I click it. 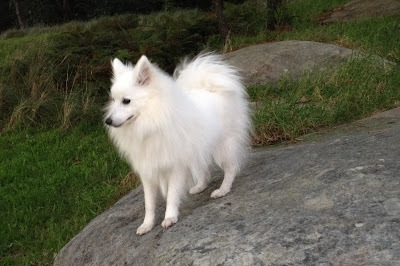 Having the dog respond to it, so intensely, so instantly, reminds me that I can get my canine friend's attention, that I can make changes with a visible and obvious impact. The response to the clicker proves this, so having it in my hand gives me the confidence to keep going, even when I can't imagine how things could change. Has anyone here used the clicker with other animals or even human beings? (I've heard the clicker has been used with good effect in individuals with autism.) I'd love to hear your experience! Now that I've finished reading it, I have passed this book on to K. Something I genuinely enjoy is having a project, doing thorough research, and finding an appropriate way to achieve it. People don't always share my enthusiasm for implementing my recommended solutions. (Really, Melon? By 'read' all of this, you mean 'skim over', right?) Luckily, K says she is actually looking forward to reading this book, and that it will even give her mind a break from her busy work schedule. I just hope it will provide her with some of the understanding it gave me about what we are doing. 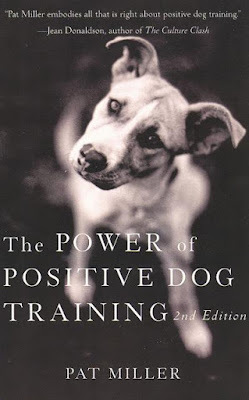 The serendipity of finding this book, which so far has resonated with me more than any other dog training book, serves as a reminder to keep my chin up -- that helpful or interesting things can be found at the most unlikely of times. Just catching up after lack of internet for about a week. So...you got company now, eh? Good for both of you! That book sounds like a good one, I am going to take a look for it at our library. Always good to keep fresh on ideas. Glad your internet is back! Boy do I have company. I'm pretty sure this dog gives Velcro a whole new meaning - I stay working in one room, I cross room to get pen, back to desk, go to get a book, back to desk... She follows me back and forth, even in the same room, all day long. I get tired just watching her! Or have I just discovered what 'Velcro dog' means, acdMom? It was a good read. Sounds like you do a fine job training as it is though! I enjoyed that book too--especially the explanation of why the clicker is so effective (something about the sharp sound having a direct impact on the brain's learning center). My own experience suggests this is true! Love your picture of the lab Katie!